After a long cold winter today, March 11th, was so nice that many restaurants in the East Village set up outside cafes, because even as early as 11 a.m it was warm enough to enjoy a coffee and some breakfast on the sidewalk in the sun. Cafe Orlin’s sidewalk set up was too appealing to pass by. I had one of my favorites: Middle Eastern Breakfast, 2 egg sunny side up with a dash of hot sauce, a crater of Labne that included 4 olives, in the center of which was a puddle of olive oil, the entire affair was generously sprinkled with Za’atar. The plate was finished off with a fresh Israeli Salad and warm Pita, all for $10. An Americano coffee rounded out the experience. It was as if everyone in New York had breathed a sigh of relief and bid farewell to winter, especially now that we had gained back an hour of sunshine. Thursday’s forecast: 25 degrees and snow. 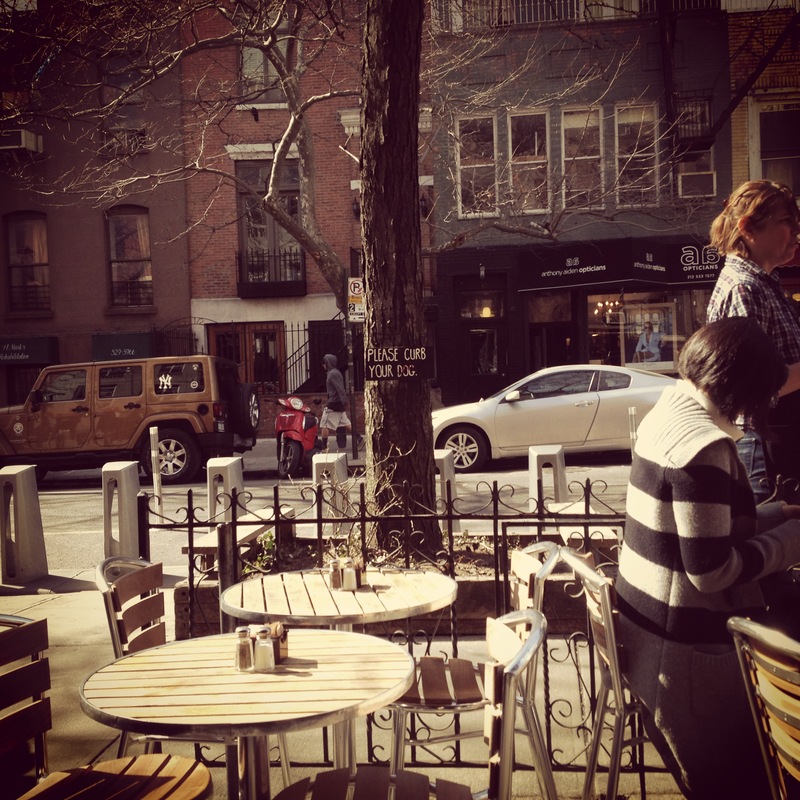 This entry was posted in NYC and tagged cafe orlin, first nice day for out door eating. Bookmark the permalink. Let’s meet there soon. Yum!